This has been a quick semi-mileage run for us and it's been fun. 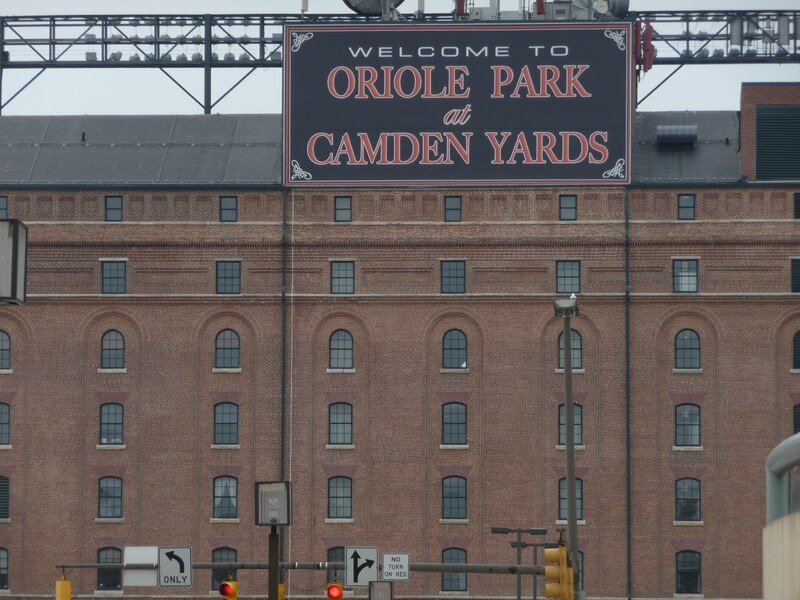 We took the hotel shuttle to BWI this morning and then rode the light-rapid-transit train into Baltimore, getting off at the stadium stop. We walked down to the inner harbor. 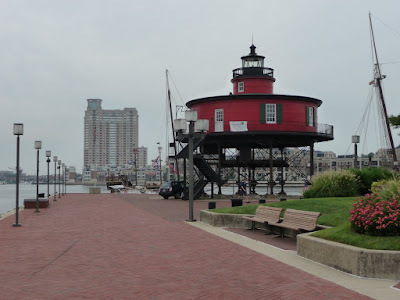 We'd never realized that the inner harbor is something like 12 miles upstream from the ocean, and that it became a very important port in part because it was that much closer to midwest destinations. Having been to Baltimore before, we basically wandered around for a couple of hours before reversing our steps and ending up back at the hotel in time for a restaurant promotion that allowed us to eat a variety of crab dishes at a ridiculously reasonable price. The sights include the Seven Foot Knoll Lighthouse, moved from its original location. Historical landmarks can be confusing, can't they? 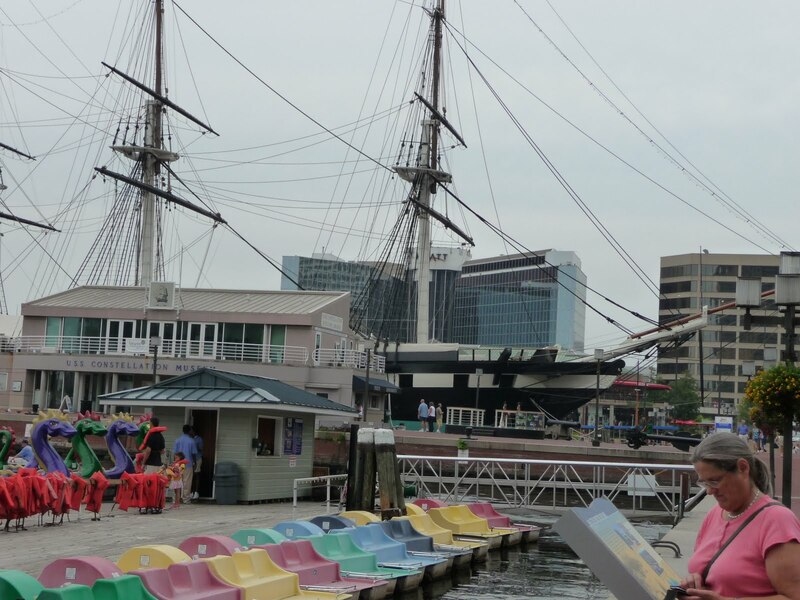 The USS Constellation is one of several historic ships with permanent homes in the harbor.